For the past four years, we have been faithfully working our way through the Sonlight Science series, but this year I am opting for a more homespun approach. We will be using a handful of the nature-themed Questions & Answer Books by David Adler as our core material and will fill in with more quality living literature books as needed. 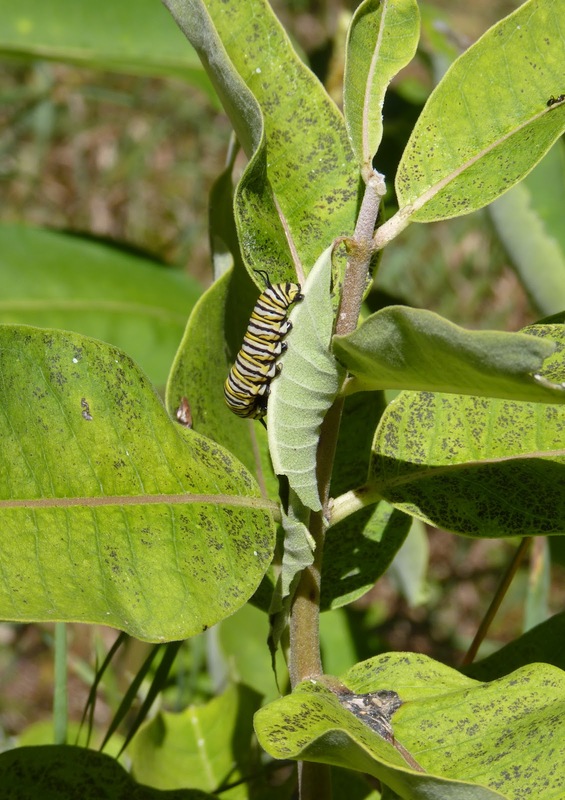 In addition, we have recently joined a once-a-month nature club that will meet to enjoy nature hikes, zoo trips, nature journaling, and other Charlotte Mason-style science adventures. We began our hike with a campfire hotdog roast and romp in the field of their family lot that juts up right next to the state park. With backpacks full of nature notebooks, colored pencils, water bottles, and homemade cookies (Because what else would you want to eat in the woods? ), we embarked on our morning adventure. Before hitting the trail, we all took a look at the classic, The Country Diary of an Edwardian Lady by Edith Holden. This beautifully illustrated diary represents all the best in simplistic nature notebooking. I wanted to ignite some artistic inspiration and extend the challenge to find the “creative” in Creation as we ventured out. As I had hoped, all eyes were fixed on the trail and surrounding colors. The kids were able to observe things that I don't think they'd otherwise locate...two chipmunks scurrying into a hole, spider webs clinging to the branches of a toppled tree, a cluster of worker ants making a trail to the river, and even a very hungry caterpillar clutching to the leaf of a milkweed plant. At the end of our journey, they all opened up their cartons to reveal their treasures. Our adventures came to a close at a picnic spot. 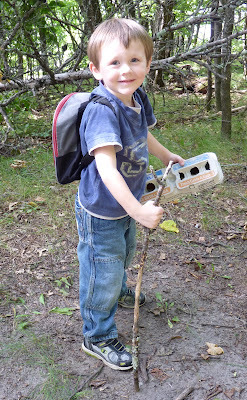 The kids unloaded their packs, set out their nature finds, and got to work on their journals. Although we did not know the names of all of our finds, we journaled their locations, date, and a few other points of interest. All in all, it was a wonderful morning with favorite friends and God's creation. And a great introduction to our year-long nature study. Looking for more nature journaling ideas and helpful hints, check out these great resources. Linking up with these lovely blogs. Believe me, I couldn't be further from the outdoorsy type! Hoping to learn, though. So cool! Thank you for these great ideas! I would love to link up! Unfortunately, my computer says that page does not exist. Can you check and get back to me? I love what you did with this nature hike to really extend it and make it a learning opportunity on some many levels.